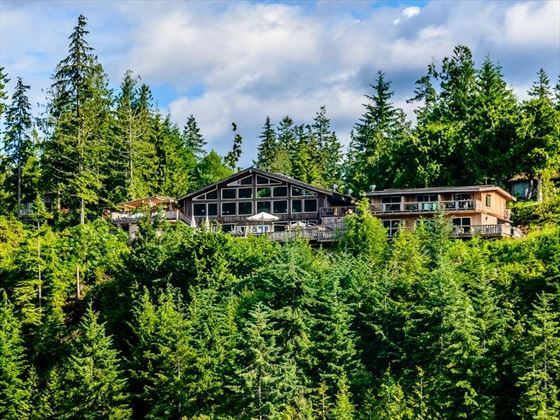 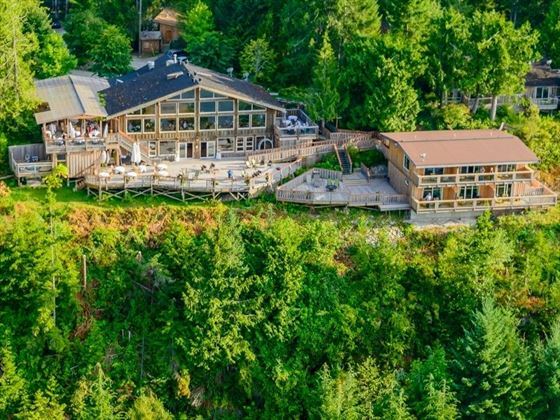 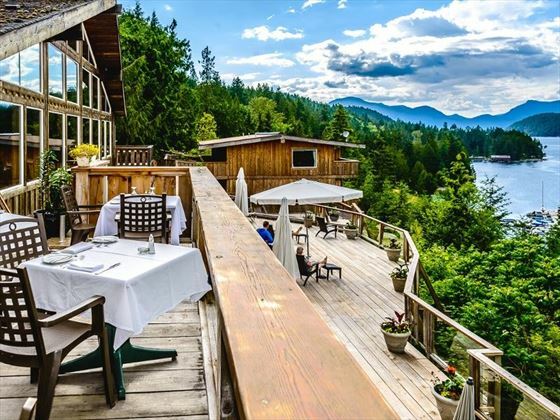 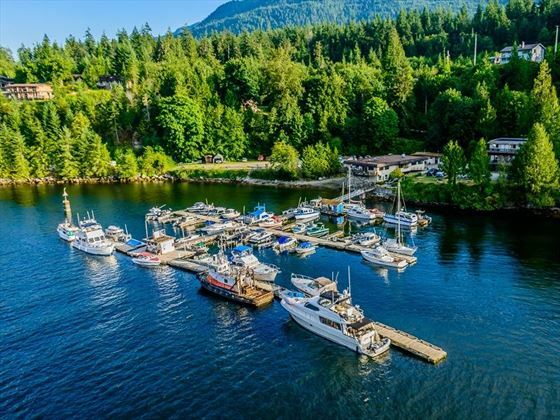 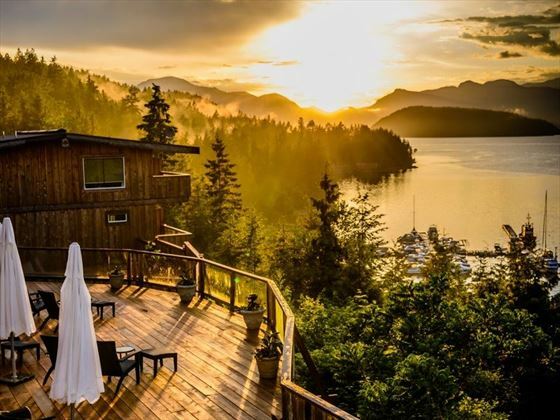 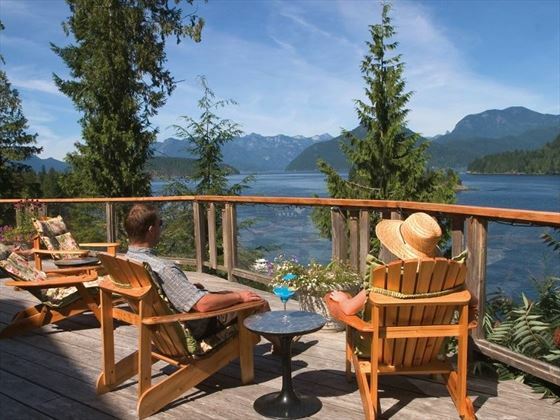 Nestling in the beautiful Princess Louisa Inlet, the West Coast Wilderness Lodge is a serene escape from urban life, where you can either enjoy exhilarating activities or relax in the peaceful surrounds enjoying the stunning views. 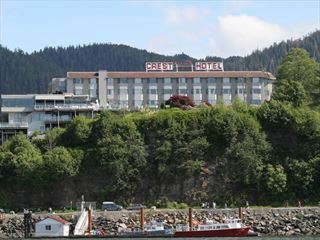 The 26 guestrooms are an eclectic mix of comfy furnishings and individual antiques, offering either views of the blue waters of the inlet or the emerald greens of the rainforest. 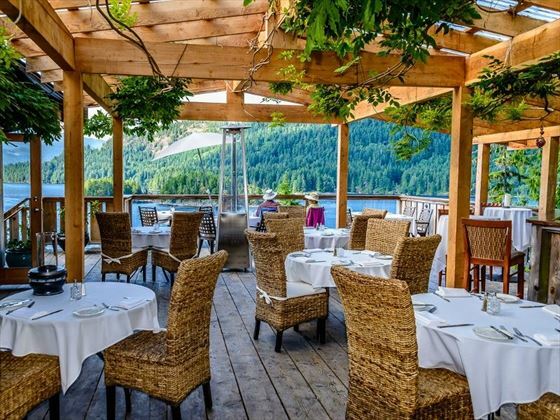 The restaurant has an enviable reputation, taking pride in serving locally sourced food and drink in the stunning waterfront setting. 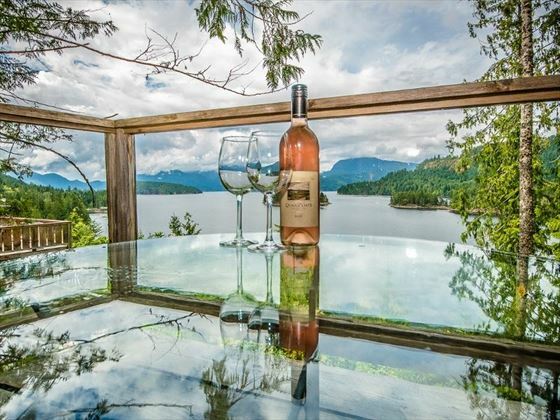 You might spot eagles and cormorants as you dine on wild smoked salmon whilst sipping a BC pinot gris. 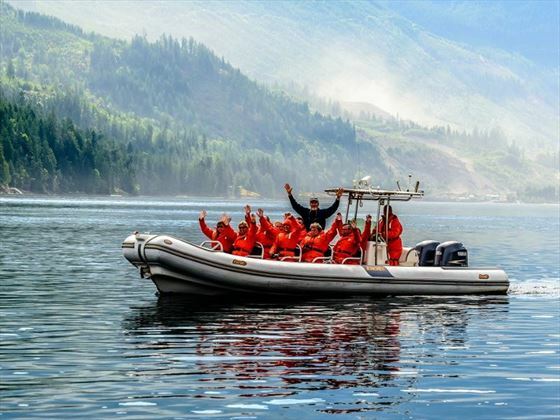 During your stay you could take a float plan tour, enjoy wildlife spotting by boat or take to the water in a kayak. 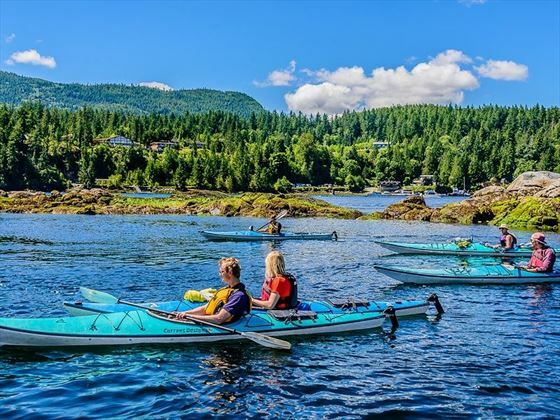 Along the way you can see ancient rock paintings created by the Coast Salish First Nation people and marvel at soaring cliffs and cascading waterfalls. 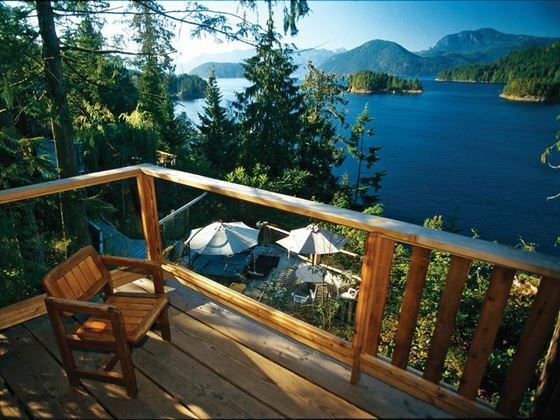 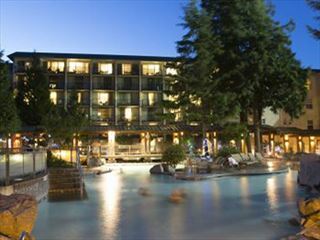 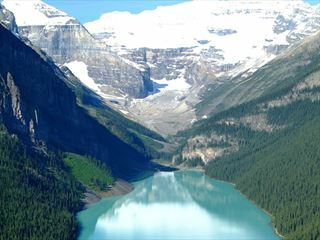 Located on the Sunshine Coast of British Columbia, near the village of Egmont on the mainland.